The march of outsourcing giant Capita plc into the legal market continued today with its acquisition of well-known case management software provider Eclipse Legal Systems. 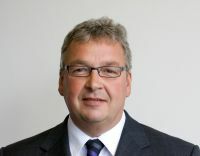 Capita’s involvement in the law already includes a law firm – having bought Optima Legal and its costing subsidiary Cost Advocates – a legal process outsourcing service based in Poland, and a medical reporting division, along with a range of services for the police and wider justice system. Eclipse provides software and services to over 20,000 legal professionals across the legal profession, with clients including Eversheds, Co-operative Legal Services, Carillion plc and various QualitySolicitors firms. Sean Massey, managing director at Capita Justice and Technology Solutions, said: “The acquisition of Eclipse, the second acquisition of a private sector software provider in the last four months, will further enhance our range of solutions for the professional services market. Eclipse has over 150 employees based in Bradford, generating a turnover of £9m. The current management team is staying in place and an Eclipse spokesman said it was “business as usual”. Isn’t it a conflict of interests for a legal business (i.e. Capita’s legal arm) to also own a case management system that is used by other competing law firms? How do they control information security? What level of data feedback from how other law firms use the product finds its way back to Capita? Could someone inside Capita (if they knew how) view live data of other law firms using this system? Very interesting development. Waiting with interest to see what happens next and how Capita will maximise its investment return on the acquisition.